G-wiss guys – where does the time go – Its flown past super quick. I can't believe there's only 3 weeks to go till the Sydney stitches and craft show – My to do list keeps filling up with more and more. And the design work has gotten really busy too so juggling 2 business's is keeping my hands very full! But its going to be all worth it! Super excited! Once again am so looking forward to seeing all my fellow crafty friends and meeting some new ones. Remember our giveaway - The prize of 2x tickets to the Stitches & Craft show and 2x Twospoonfulsofsugar craft lab vouchers get drawn this wednesday 31st of March! So to be in with a grin – Leave a comment on our giveaway blog post or on our facebook fan page or tweet "I wanna win Stitches & Craft show tix and a fun and furry card class from Twospoonfulsofsugar" @sharessmiles"
You just might be the lucky winner! go the paddle steamers - full steam ahead! Ok so kayaking and raising money to help charities isn't for everyone. But I believe its worth the effort especially when its for such a great cause such as making a difference to a child in need and there family - to share a smile and make life easier.... Lifestart supports children with disabilities and their families to achieve a better quality of life. Lifestart Kayak for Kids is an inspirational paddling challenge on Sydney Harbour. It raises funds for very special kids aged from birth to school age who have an intellectual disability or developmental delay. These include conditions more widely known such as Down syndrome and Autism Spectrum Disorder to much rarer genetic disorders. Lifestart provides early childhood intervention services to ensure these kids have the best possible start in life. On Sunday 28th March Lifestart Kayak for Kids is taking place, it's a 17.5km course running from Blues Point to Clontarf in four stages of approximately 4.5km. So to boost myself with abit of exercise at the same time as to share some smiles with some kiddies and there families. Ive joined a team of 12 - were called "The Paddle Steamers" and between us are kyaking Lifestarts - Kayak for kids event. Our goal is to reach $5000 in donations, its a high target but certainly worth a try. If your feeling the love please help us reach our goal by donating to our team for this worthy cause (even a gold coin will be worth more than u think) Feel free to come along be our sideline cheerleaders too! Training this Sunday at Manly! Love it! Sheryl and "The Paddle Steamers"
Description. 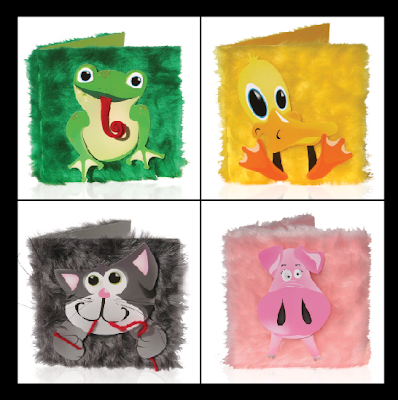 Choose a design from the selected twospoonfulsofsugar make-me kit range, to cut, paste and glue your imagination into a fun and furry handmade greeting card. So bring your crafty creative self down to the craft lab to help share a smile. 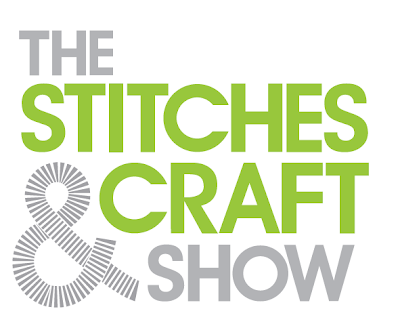 To celebrate our involvement in the Sydney Stitches and Craft show next month - I’ve got two free tickets to the show - courtesy of the lovely organisers at Stitches & Craft plus I’m going to throw in two free fun & furry animal card making classes. To enter just leave a comment below and/or tweet "I wanna win Stitches & Craft show tix and a fun and furry card class from Twospoonfulsofsugar" @sharessmiles"
*winners will be notified end of march. You may have already heard... the Sydney Stitches & Craft Show 14 – 18 April 2010 is at a new venue Australian Technology Park, in Eveleigh - only about 10 mins from the city and Twospoonfulsofsugar are proud to be involved again in the Incubator section @ stand I3. Every day around lunchtime Twospoonfulsofsugar will be running a card making craft lab (a different animal each day). So remember the dates (Wednesday 14th April - Sunday 18th April) and be sure to pencil in or ask for an extra long lunch break to join in the card making/Stitches & Craft Show fun! I will upload twospoonfulsofsugar's craft lab details in the next few days, along with a few goodies to Win! its play day and as you know I have been playing around with this new idea - Clouds of Love - it focus's on the big L-O-V-E of course. the importance of love and no matter what may your life be filled with love. "when ever we have clouds in our skies, may they only ever be clouds of love"
... or another phrase "the clouds will pass and blue skies will brighten your days" I feel really connected with this design, and truly love the meaning i've created behind it. we all deserve to be loved, cherished and appreciated and expressing our love for each other is sometimes overlooked and taken for granted - it really is wonderful when people appreciate each other with warm fuzzy moments from the heart. "may we all have clouds of love in abundance in our life"
I would love to hear your feedback, as if this card is popular and in demand - I will go ahead and produce it, clouds of love is targeted for special occasions such as weddings, valentines day, mothers day, just because days, make-up card, anniversaries, i love you days...and of course to share a warm fuzzy moment with a special someone in our life.